Richard serves as the firm’s Chief Operating Officer and handles all the day-to-day business operations of the firm, along with serving as one of the firm’s lobbyists. Richard previously served as the Office Administrator for Wilson Elser for 17 years. 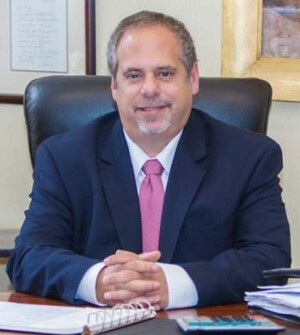 Richard has worked on numerous statewide and local clients with issues ranging from transportation and medical marijuana, to automobile dealers and gaming and casinos. He has significant experience working with the New York State Budget and has been able to assist clients in obtaining economic development funding through various New York State programs. Richard began his career in the New York State Assembly working as the Chief of Staff to the Assembly Majority Leader for nearly 12 years. Richard provides leadership and strategic direction for all financial and operational functions, and directly oversees finance, accounting, human resources, and facilities. Richard is a past member of the New York State Board for Easter Seals New York and past Chair of the Capital District Easter Seals Chapter. He is the recipient of the 2016 ESNY Lilli and Allan Shedlin Award for “Changing the lives of children, adults, and our veterans through your time, talent and treasure.” He also volunteers his time for a number of local charitable organizations.